We developed transition-edge-sensor microcalorimeters to detect gamma rays of energy up to a few MeV. To develop devices that have mechanical robustness and fast response together with reasonable thermal isolation, we fabricated devices with thick (17 μm or 9.5 μm) membranes using silicon-on-insulator wafers. Here, we report the results for one of each device. 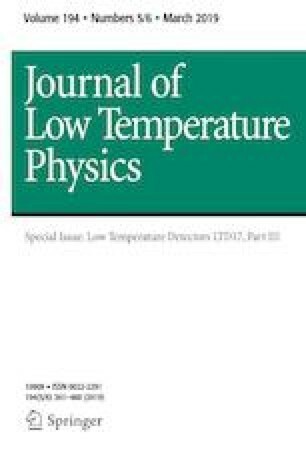 The thermal conductances of the 17-μm-thick-membrane device and the 9.5-μm-thick-membrane device were measured to be 84 nW/K and 52 nW/K at their transition temperatures of 162 mK and 202 mK, respectively. The thermal conductances are 20–30 times and 6–9 times larger than those of our thin-membrane devices, when compared at the same temperatures. We irradiated the devices with gamma rays from a Cs-137 source. About 30% of the accumulated pulses are signals from the absorbers, while the remaining are signals from the silicon substrates. The energy resolution of the 662-keV photo peak for the 17-μm-thick-membrane device is 2.2 keV, whereas the baseline energy resolution is 2.3 keV. The energy resolution is several times worse than the design value. One reason for the degradation of the energy resolution is the low-frequency noise of the mechanical cooler, and the other reason is the thermal noise arising from the Compton-scattering events in the substrate. This work was supported by JSPS KAKENHI Grant Number JP17H03523.